Very soon we will be ready to let everyone join the world of Crossout and start the project's open beta testing. 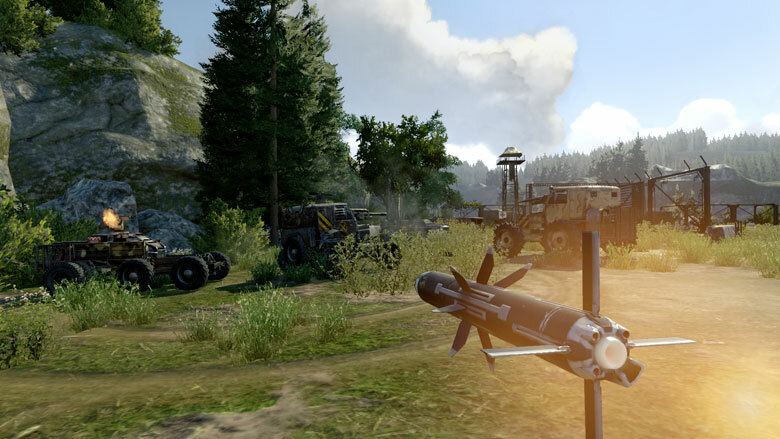 At present, the development team is working on the finishing touches, so that in OBT all players will able to get the maximum thrill in combat and opportunities for creativity in armoured vehicle assembly. One of the main novelties will be the emergence of an entirely new faction in the game. It will be called ‘Steppenwolfs’. Steppenwolfs are one of the factions that make up the influential organization ‘Brotherhood’ alongside the ‘Scavengers’. The wolves are an elite squad, performing dangerous missions in difficult conditions. They are the Brotherhood's punishing sword. 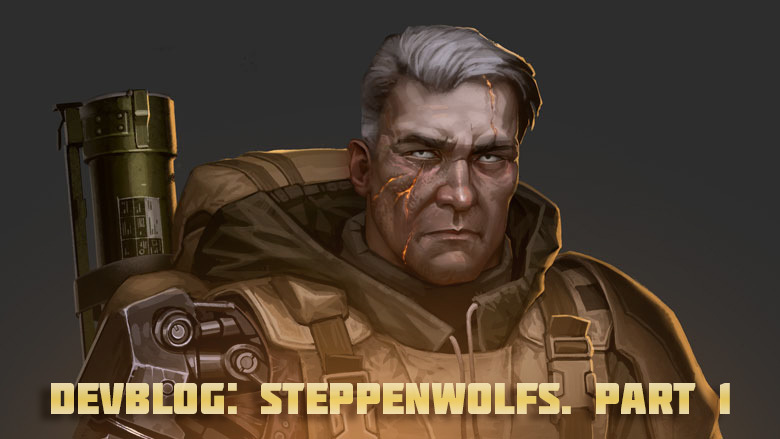 And Steppenwolfs are led by Major Eric Stahl nicknamed Ironhand. Let's take a closer look at the abilities of Steppenwolfs. Let's start with weapons. The new faction's feature is the ability to fight from a distance. And one of their major weapons is a howitzer. A weapon capable of striking targets at fairly long range. 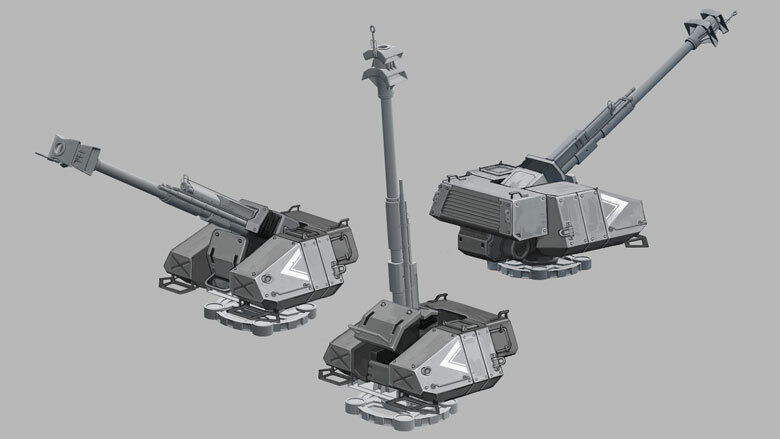 But its projectiles will be visible from very long range, also the projectile's travel from the gun to the point of impact will take an extended period, so the gunner will have to calculate the enemy's movement trajectory and lead the target. Howitzers are weapons for extremely long distances. To successfully fight at close range Steppenwolfs use an automatic homing gun ‘Caucasus’. The machine gun is quite cumbersome and difficult to protect with additional armour. Besides, its effective range is small. This is an auxiliary weapon to cover the ‘rear’. Another powerful weapon which you can often see on Steppenwolfs armoured vehicles. This is the latest development of the Brotherhood's scientists - a guided missile launcher. Within a few seconds after launch, the operator can set the missile's flight direction with the camera tracking the flight. You can often see Steppenwolfs armoured vehicles accompanied by a little extra wheeled drone. It is launched from a special container, related to secret equipment, provided by the Brotherhood exclusively for Steppenwolfs. The drone can independently affect any target within attack range. These are far from all the features and parts of the new faction, but we will share more details closer to the time of its release in open beta testing, since the current variations of the new parts are likely to change. That's all. May road dust keep out of your engine! Pretty cool I think its going to need a lot of balancing which is unfortunate that it isn't in the CBT I guess. * Of what little we see (placeholders maybe?) tech looks way too new. Unless that's maybe just the theme for them? Everyone is is raggedy cheeki breeki roadwarrior scumbags and they're glorious ultramodern technology master race. * We'll have to see how it shakes out, but could end up being either useless or OP, balance will be a tricky thing. Why use artillery while missiles almost always land, cannons travel faster, etc etc? Those are some of the things that we'll have to fuss with and tweak to get right. * More drones? Perhaps the car will be a middle ground between quad drone and turret. Follows but doesn't have perfect firing point, tougher than flier but weaker than turret? Hm. Yeh I think and kinda hope that a lot of the weapons turn out to be novelty and fun not necessarily the best of the best cause they do look a tad flashy may be have high energy requirements for these weapons due to their sophistication. The sidekick drone looks like tons of fun. well... i can see the RC cars being fun, but i can also see them being like the "turrented era. but i can wait for whats to come. Очень интересная техника а может зальете небольшой видео обзор??? чтоб иметь представление что ждать хоть. Уж очень больно хочется это все увидеть в действии. Sidekick drone.?? YES thanks you! asked for this style long ago! Neat-o! camera Missile? looks like fun! 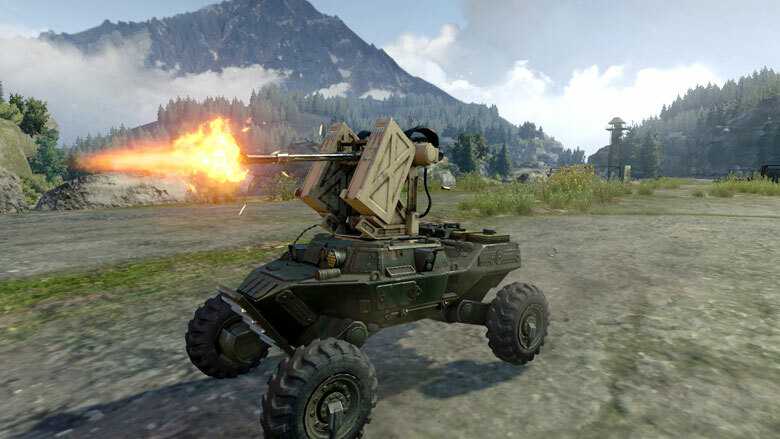 I like it my worry is I don't want to see crossout go down the road of A.I shooting for you and you just piloting the vehicle the turret plague has done this enough haha one can only hope that because of this automatic aiming the energy requirements are higher than your average wep by a mile and may god save us if you can have 6 of them in a shield wall formation lol. Interesting times to come I guess. Интересно эти самонаводящиеся пушки будут целится постоянно в одно и тоже место( как боты и турели ) чтоб быстрей добраться до кабины. или у них будет как то разброс по нескольким деталям ??? А то получится слишком гремучая смесь ты едешь и постоянно на ходу попадаешь в одно и тоже место(((( как с таким можно будет бороться ?? first mad max FPV mode, now the new faction... i hope this hype is is forboting goodness in the future. Interests:Ping-Pong, Hiking, Crossout OBT... yeah. Of what little we see (placeholders maybe?) tech looks way too new. Unless that's maybe just the theme for them? Everyone is is raggedy cheeki breeki roadwarrior scumbags and they're glorious ultramodern technology master race. Must agree on this, as they look cooler than any faction so don't wanna spoil anything considering what we currently know about the Steppenwolfs, but... aren't they OP so far? Nope, dont like the visual aspect of these Steppenwolfs. Their equipment looks too production line, as supplied to a modern army. Not fitting in the crossout wastelands where gear would be constructed from salvage. I had hoped Crossout would stick to the theme, which for me makes a game so immersive. Not to end up as some mish-mash of a game that makes no sense, and I've no time for. I kinda agree to some extent. I would be happy with any new content or game play at this point. More than anything I would love to see a whole bunch of new maps. A picture of the 'Caucasus' would be nice. This new faction will have new vehicules/armor parts too right? Btw, shouldn't the name be 'Steppenwolves'? Well, it's look like awesome. I wan't to see this faction in the game. I'm don't agree in your opinion. For example, Nomad is military faction, they use plane structures and military weapons. However, i think they not overpower faction than other factions in the game. So, sometimes post apocalyptic game designs create more serious factions by devolopers. Too me, it's not a big problem. I think creative factions consepts colour up for Crossout. I have a question. is this only one faction come to the game or we keep waiting for some new factions. If not only one faction, will we see other new faction in obt or in the future? For example. Release date.